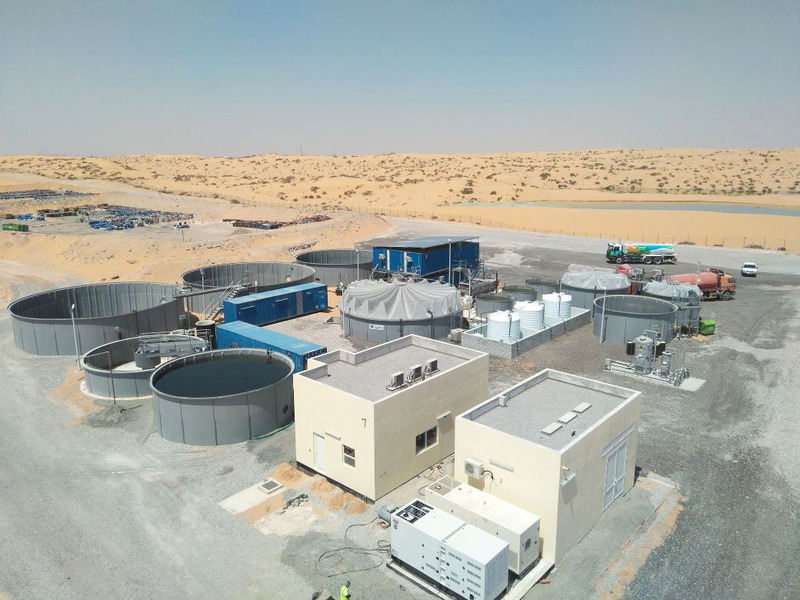 Spanish supplier Toro Equipment has announced the commissioning of a wastewater treatment plant provided to treat industrial effluent in Dubai, United Arab Emirates. The 300m3/day plant features six containerised treatment units, as well as 14 of the company’s W-Tank bolted storage tanks for wastewater treatment and clean water storage. The W-Tank is made of GRP. According to the company, the solution fitted the need for the plant to be able to cope with extreme climate and the corrosive nature of the effluent. The COD can reach 45,000mg/l, while the average conductivity is 20,000 μS/cm. The complete project included two containerised Anaconda flotation systems, the Anaconda FRC-20, which include three dissolved air flotation units. Toro supplied a containerised plant for sludge dewatering, including use of an FPA120/25 Draco automatic filter press. The other three containerised units house a chemical dosing system, a final filtration stage, and the plant’s blowers. According to Toro, pre-assembly in containers facilitated installation and completion of the project.